As sporty to drive as it looks, the Mazda3 is a compact hatchback that's certainly deserving of closer inspection. The sleek exterior is matched by a cabin that's refined and offers plenty of space for driver and passengers. Mazda's innovative engine technology also means that while the model is punchy and responsive, it keeps emissions low and running costs down. 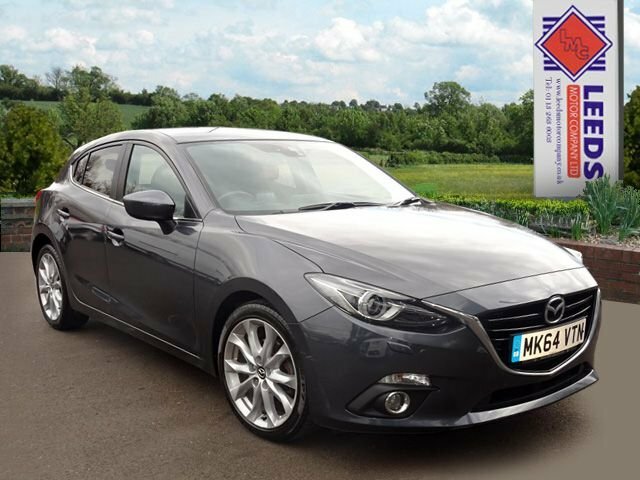 You can view the complete range of used Mazda3 models for sale in Bradford here on the website, but be sure to pay a visit to Leeds Motor Company Ltd if you're interested in taking a test drive. All of our cars are rigorously inspected before arriving on the forecourt so you can also buy with complete confidence.